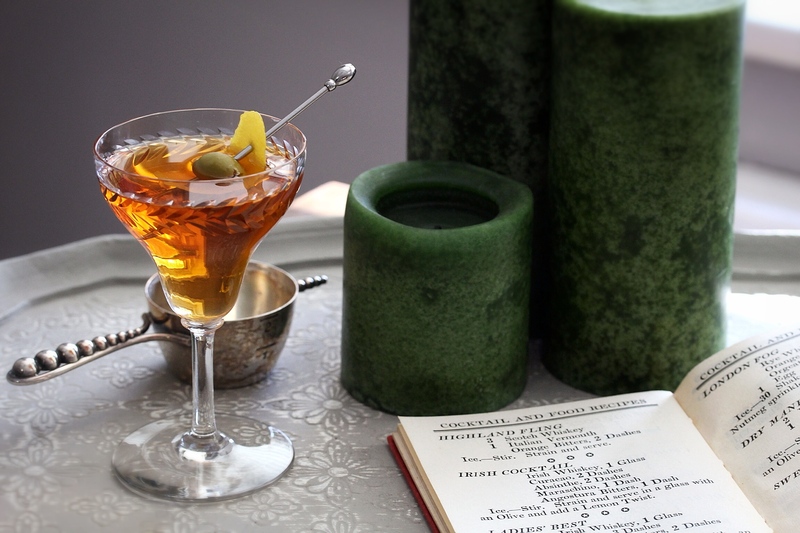 Add the Irish whisky (Bushmills), absinthe (St. George Spirits), curaçao (Pierre Ferrand), maraschino (Luxardo) and Angostura bitters to a chilled mixing glass. Add ice and stir until well chilled. 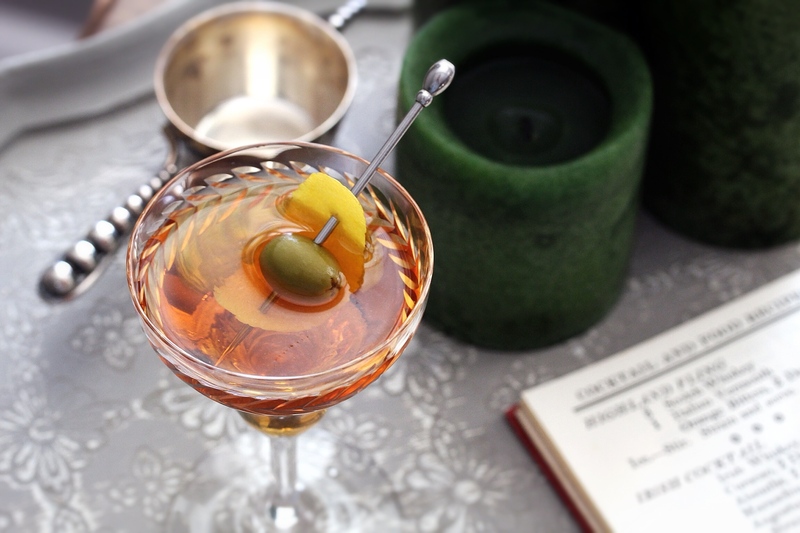 Strain into a chilled cocktail glass and garnish with a lemon twist and an olive. Orange and anise scented, this odd combination is actually quite tasty. At first it’s lightly tinged with citrus and malt, followed by a wave of anise and wormwood from the absinthe. The cocktail ends sweet and herbal with a touch of smoke and salt. I first stumbled across this classic drink in Patrick Gavin Duffy’s Official Mixer’s Manual. Perfect, I thought, not only is it an Irish whiskey cocktail, but it also comes from an Irishman. But it turns out that the drink was around long before Duffy’s famous book, popping up in everyone’s favorite, the Savoy Cocktail Book, among others. The oldest mention I’ve seen it in so far is in Harry MacElhone’s 1927 Barflies and Cocktails. In addition to Irish whiskey, the Irish Cocktail is made with maraschino, orange curacao, and a touch of absinthe, plus a little Angostura thrown in for good measure. So far it might sound a bit like a popular genever cocktail called the Improved Holland Gin Cocktail, but here’s the kicker: in addition to a twist, it’s also garnished with an olive.